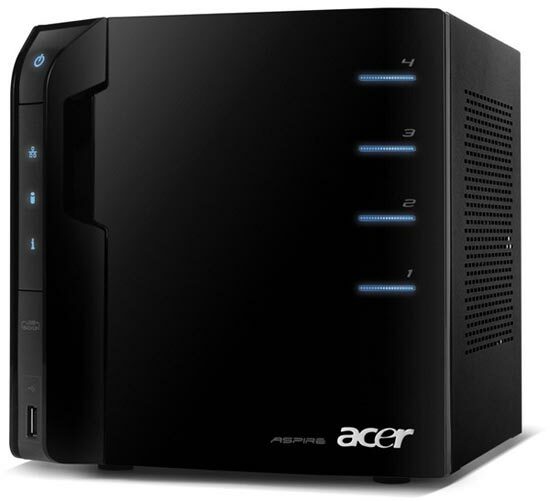 Acer has added a a new home server to their range, with the launch of the easyStore Home Server 1TB – AH340-UA230N. This new home server comes with 1TB of storage built in, and it is easily expandable up to a massive 7TB of storage via the three 3.5 inch hot swappable bays. It features an Intel Atom 230 processor plus 2GB of DDR2 RAM, and DLNA 1.5 certification, the best price about this new home server from Acer is the price at just $400, plus it looks pretty good as well.